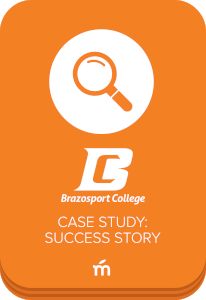 Read how Mango helped Brazosport College promote engagement between the library, campus and community culture. Meet Brent Cooper, the reference librarian and library service director for Brazosport College. Brent saw the Brazosport library was lacking electronic language resources that could help students across disciplines. He worked with Mango Languages to create an integrated solution. If you’re looking to purchase Mango for individual use, click here. If you have questions, please visit our FAQ or our blog. Librarians, looking to see how Mango helped this college? Fill out the form to download!